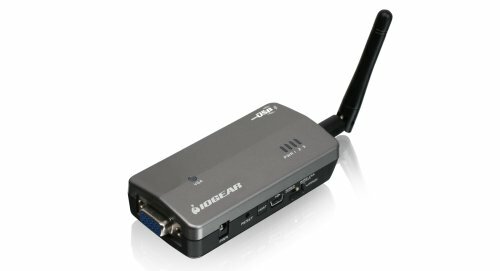 IOGear Wireless USB 2.0 to VGA Adapter GUW2015V (Grey) by IOGEAR at AABX. MPN: GUW2015V. Hurry! Limited time offer. Offer valid only while supplies last. pWireless USB to VGA Multiview Adapter instantly allows you to connect your PC to a high resolution display wirelessly using wireless USB technology.